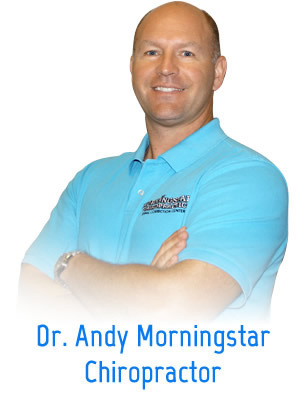 Maryville chiropractor, Dr. Andy Morningstar is passionate about providing his patients with the very best of chiropractic care. He offers personalized solutions for a wide variety of health issues including, but most definitely not limited to back pain, sciatica, neck pain, headaches and auto injuries. Dr. Andy has been helping people get out of pain and transform their lives with chiropractic care since 1998. He is committed to providing each of his patients with the most advanced natural healthcare technology available, including painless laser therapy. Experience Exceptional Chiropractic Care For Just $21!